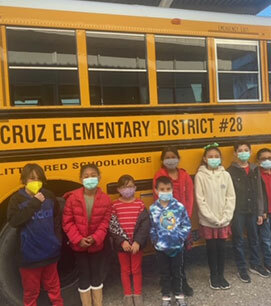 The Santa Cruz Elementary District Transportation Department works every day to safely transport our students to and from school. Our drivers are required to meet the training standards set by federal and Arizona regulations. Rest assured that your child's safety is our top priority. Our district provides bus transportation to students as a convenience and a privilege. Please take a moment to review the bus transportation rules. If you have any questions, please call us any time.